According to a European commission investigation, scammers operating in the UK and beyond have carved-out a £174 million industry by fraudulently dyeing low-cost tuna pink and selling it on as fresh fish. The fraudulent products usually sell across Europe for around double their original value. However, whilst many have said the phony fillets are usually only bought by establishments which sell food at low prices, Larry Olmstead, a journalist whose work often focuses on fake food, told the Independent that, in his experience, the problem reaches further than it might seem. ‘I’d be afraid to order tuna at all but the best high-end sushi restaurants,’ he said. The practice of dyeing fish to make it look more attractive is nothing new. 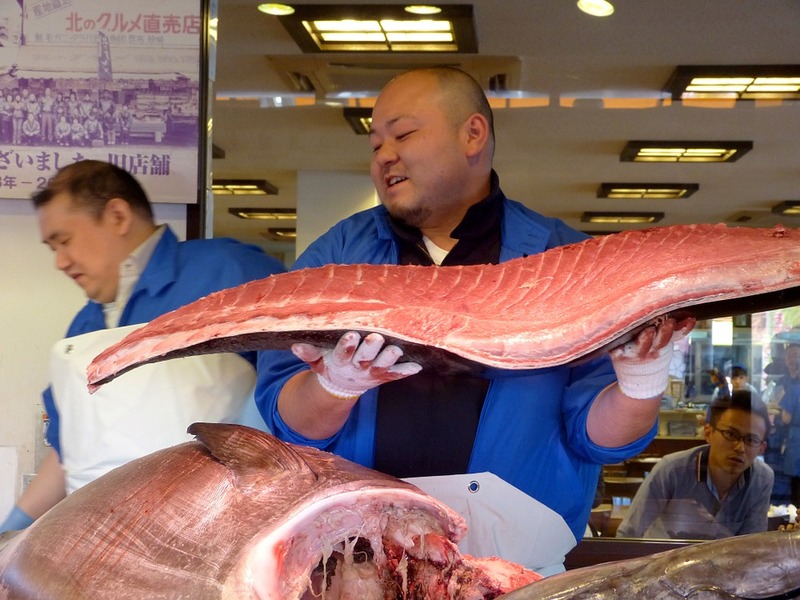 Dyed tuna does not necessarily even have to be packaged as the same species of fish: it has, for example, in the past been sold as salmon to unsuspecting consumers (albeit those whose palates for the latter were presumably quite blunt). However, dyeing fish is often carried out legitimately as a means to improve its aesthetic value. When genuine salmon is farmed, for example, it often ends up with a greyish hue. Consequently, manufacturers often ‘pigment’ their fillets – although, thanks to a 2003 lawsuit, they have to warn consumers when this has been done. Whilst some activists assert that even industry-regulated fish pigmentation is hazardous to consumers and raises animal welfare issues, it is generally not considered an urgent health risk. However, when the process is performed in an unregulated manner – or when it is done to hide the fact that the fish itself is older than it appears – there are indeed many ways in which it can jeopardise the wellbeing of those eating it. Those who consume raw sushi comprised of the fraudulent fish are put at the greatest risk of histamines from the dye, which can cause allergic reactions. Still, whether the long-standing underground trade will be snuffed-out any time soon is doubtful. The best thing consumers can do, therefore, is be aware of the problem and report any products which they consider…fishy.